Playful and idiosyncratic, the tape was the work of an artist still learning how to open up. Upcoming new album Silver Drop takes the restless, inquisitive spirit of his music and applies it to his own interior emotional world. In short, love has entered the building, and Gregor will never be the same again. Silver Drop is about as touching as anything you’ve heard, and similarly striking for its musical adventurousness. 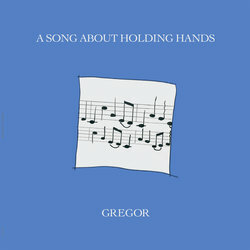 Spacious and delicate, but peppered with acerbic pop moments and extended, loping grooves, the album draws together elements of the Durutti Column, Arthur Russell and The The, all filtered through Gregor’s increasingly personal vision. Imagine if the solo albums of Holger Czukay from Can contained unstinting examinations of the soul, and you’ll get a hint of the sound and feeling of Silver Drop.